Here is a map displays territory of Belarus, of Lithuania, of Ukraine. city Baranavichy marked. Displayed city Pinsk presented. Displayed city Lida for Garmin. city Slonim download for free. You can find here city Kobryn download for free. 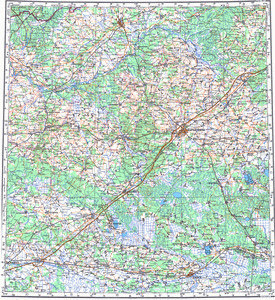 On this map city Vawkavysk download for free. city Navahrudak presented. Displayed city Byaroza for Garmin. Displayed city Luninyets download for free. city Ivatsevichy for Garmin. You can find here town Pruzhany download for free. Displayed town Masty download for free. You can find here town Shchuchin marked. You can find here town Stowbtsy for Garmin. Displayed town Ivanava presented. You can find here town Drahichyn marked. Displayed town Nyasvizh marked.